A research project in early childhood art museum education. As American art museums are experiencing a dramatic increase in attendance by families with very young children, ages 5 and under, it is urgent that museum educators consider how programming addresses the developmental realities of early childhood and the rights of families visiting with young children. 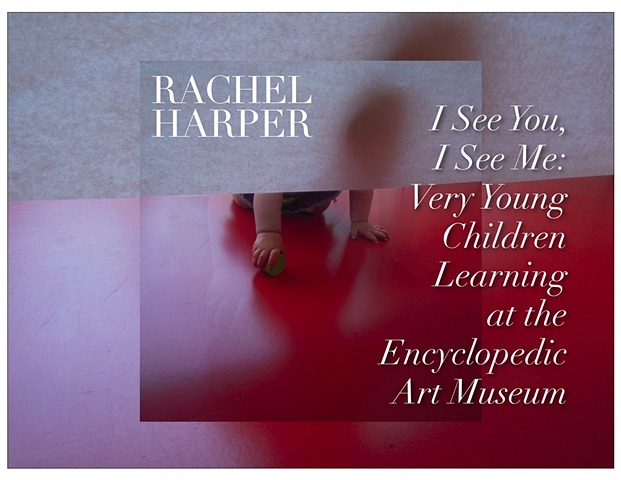 In this study, I use action research to answer the following question: how do museum educators interpret the elements of meaningful learning for very young children (ages 0-5) in family programs at a major Midwestern encyclopedic art museum? My method centers on a play-based program for families with young children. I facilitated six sessions of this free drop-in program, attended by an average of 34 participants per four-hour session. Participants were local, regional, national, and international museum visitors. For the design of an emergent art curriculum, I enlisted the Reggio Emilia approach to early childhood education as a practical frame of reference, and a dynamic collection of theory that regards the rights of children and families as central to child development, and to education for social justice. The data I collected includes participant surveys, assistant interviews, narrative reflections, and photographic documentation. Systematic analysis of photographs provided themes that helped reveal meaningful features of play-work in the program: participants used many forms of communication to express their educational connection to the museum experience, including touch, gesture, looking, theatrical play, drawing, and constructing. Learning was found to be fundamentally collaborative and involved consistent, focused interaction between child and caregiver. The facilitator was enlisted a resource, primarily for overcoming struggles with the invitations and limitations of the program space. I conclude this study by reflecting on the intersections between the literature, my findings, and my personal practice to inform recommendations for continued research. I speculate that when museum educators invite the non-verbal, intimate communication forms that structure intra-family learning, and welcome the unpredictable paths of intellectual play-work, we support the developmental realities of very young children and uphold the rights of every individual to make meaningful use of the curriculum towards transformational learning. By enacting a pedagogy that privileges the educational power of the child–caregiver bond over the child–teacher relation, and by situating developmental theory and formal reflection practices at the heart of the curriculum, museum educators may also participate in building a theory of early childhood art museum education that is perpetually renewed by self-reflexive collaboration with the learning practices of the very young.